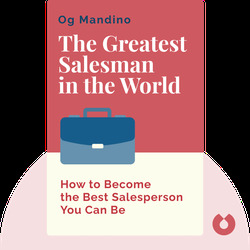 In The Greatest Salesman in the World, you’ll learn the unconventional secrets to becoming the best salesperson you can be. It turns out that the path to reaching sales targets doesn’t actually involve studying salesbooks or copying the methods of others. Rather, it’s about developing healthy habits and becoming a better person overall. Augustine "Og" Mandino II was a bestselling American author and the president of Success Unlimited magazine who passed away in 1996. He is an inductee of the National Speakers Association's Hall of Fame. 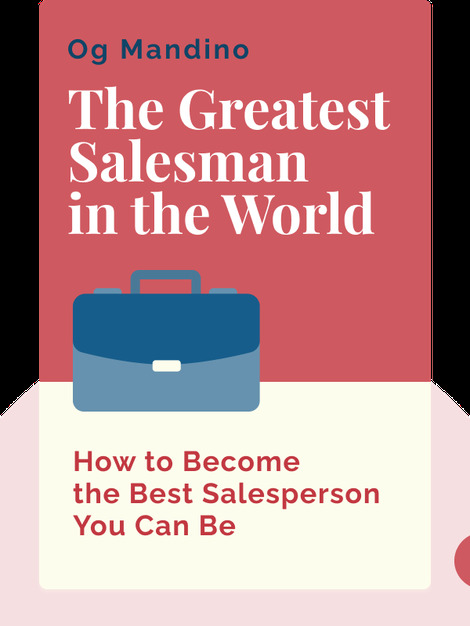 This book, The Greatest Salesman in the World, has sold over 50 million copies worldwide.